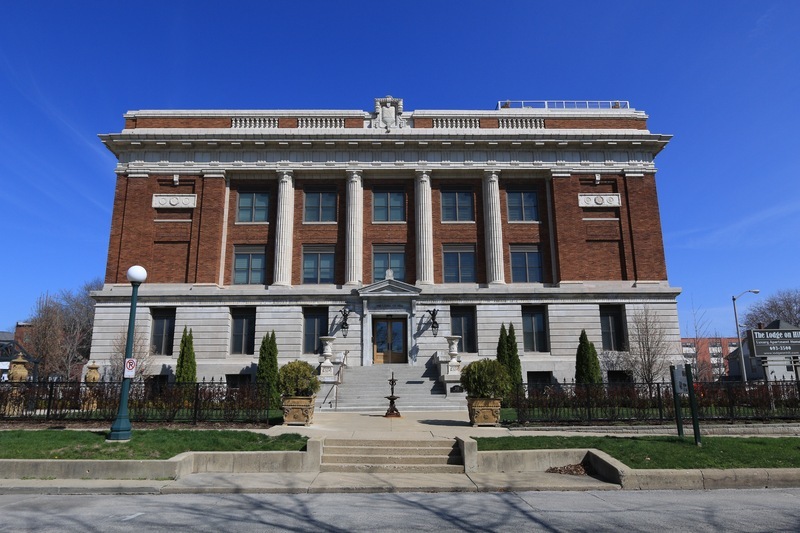 Built in the Beaux-Arts style, the Masonic Temple was constructed in 1914. 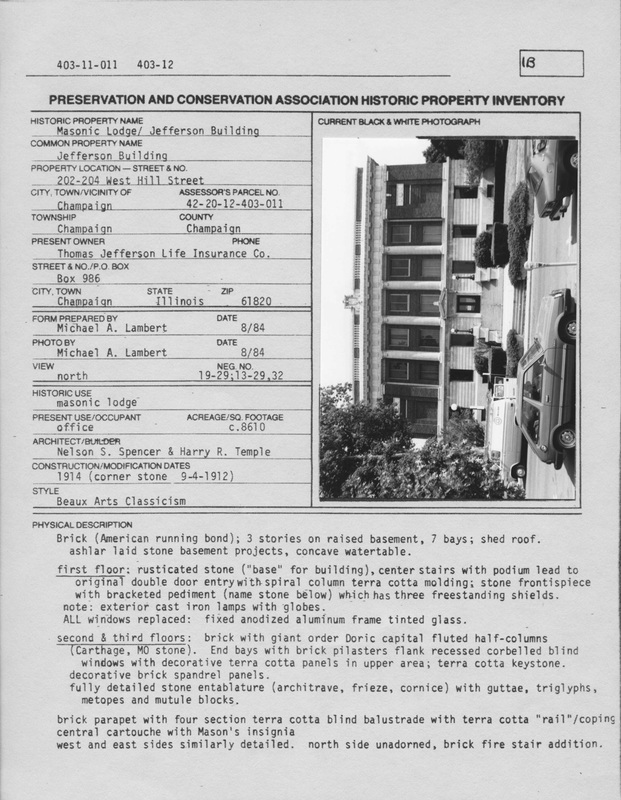 The building architectural work was completed by Spencer and Temple of Champaign and the exterior design was completed by Charles Clakely Spencer. The highlight of the building is its grand ceremony room which remains today. 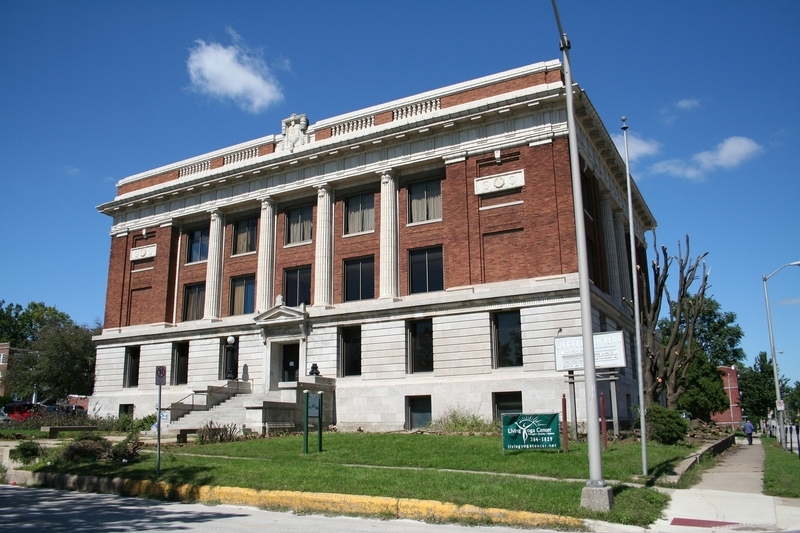 The Mason’s left this building in 1970 as the building was renamed the Jefferson Building and housed the Thomas Jefferson Life Insurance Company. The lodge moved to the IOOF Hall at 109 N. Neil before their eventual move to their new home off Windsor Road. T.J. Blakeman, “Masonic Temple,” ExploreCU, accessed April 22, 2019, https://explorecu.org/items/show/369.